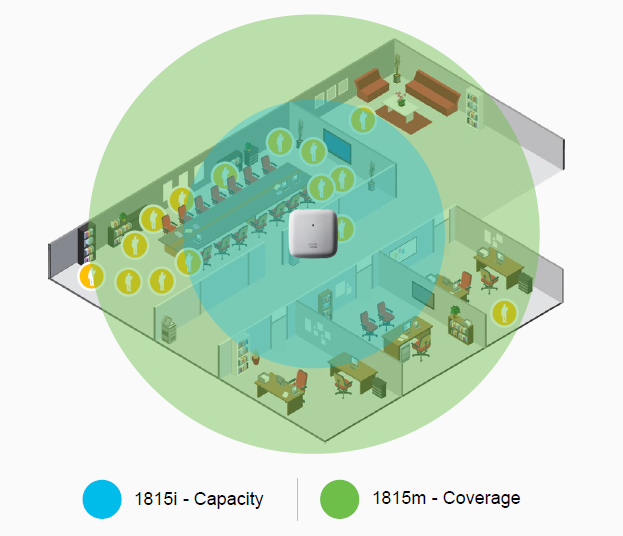 Cisco is providing 5 Series of indoor Access Points to meet customers’ needs of all sizes. 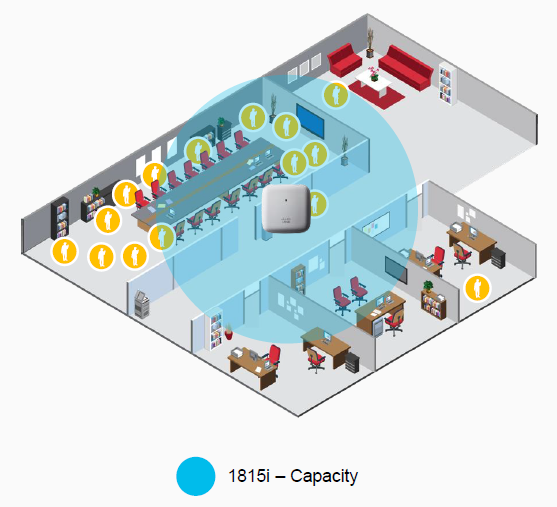 The latest indoor access points are Aironet 3800 Series, Aironet 2800 Series, Aironet 1850 Series, Aironet 1830 Series and Aironet 1815 Series. 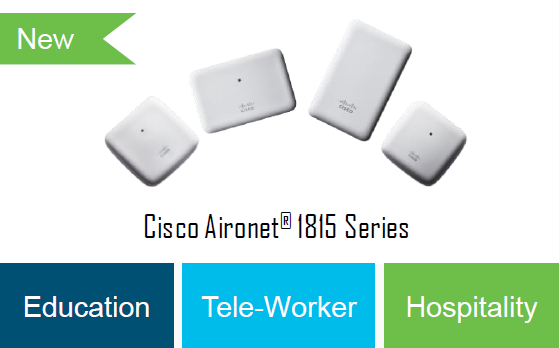 All models of the Cisco Aironet Indoor Access Points are compatible with the IEEE 802.11n standard; and some models are also compatible with IEEE 802.11ac delivering high-speed and stable wireless LAN environments with a theoretical maximum throughput of between 300 Mbps and 2.6 Gbps. A broad selection of models is available for various installation environments and network requirements. Built-in antenna model: These models feature a streamlined body and an integrated LAN/power cable using PoE (Power over Ethernet) for a stylish installation that blends into the office environment. External antenna model: These models feature a rigid metal chassis and support a wide range of operating temperatures for use in factories, warehouses and stores where environmental requirements are very strict. A wide selection of antennas is available for these models to suit different installation environments. 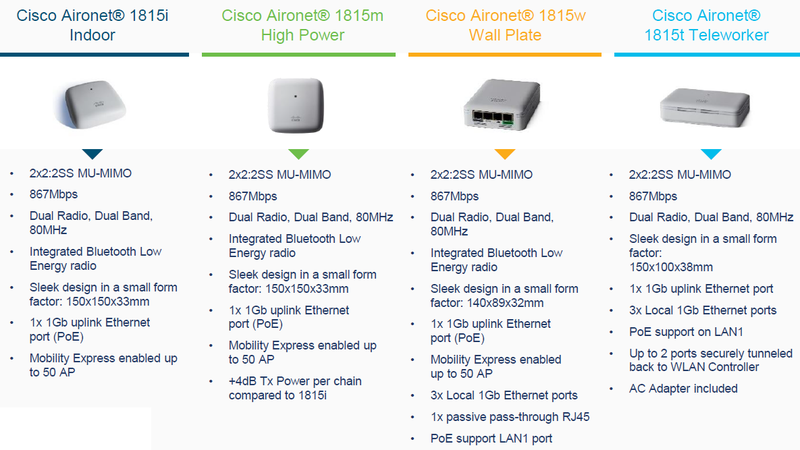 There are two types of models for Cisco Aironet Indoor Access Points: Standalone or Mobility Express models, and Controller-based models. The Controller-based models are designed to operate in linkage with the Cisco Wireless Controllers. 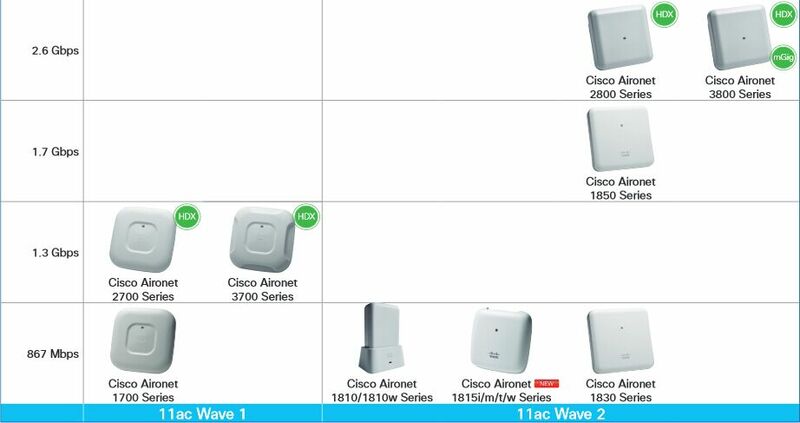 **Cisco Aironet 3600/3700 Series are planned to support 11ac Wave 2 via addition of a module.